May your Sunday be filled with love creating happy memories with family as you celebrate Mother’s Day! Best Wishes! Wishing you a wonderful Easter creating beautiful and loving memories with your family and friends! Shopping online this holiday season could leave you with your identity stolen, or at least an expensive surprise when a thief charges a ticket to Fiji on your credit card. Swearing off online shopping isn’t necessary, though. You just need some simple steps to protect yourself from online fraud, which ticks up this time of year as more people shop. Using a hack-free password may sound elementary. Many people, however, continue to use passwords that are too easy for attackers to figure out. To make a strong password, use some special characters, numbers or, better yet, a phrase. Phrases like “Iamthegr8est” are harder for a dictionary attack to break. Also, using different passwords for different sites is never a bad idea. So don’t leave all of your accounts open to a single password. Sometimes an email can look like it’s from a trusted company or bank. Many people don’t check before they click the links, or they send back whatever information the institution asks for without first requesting more detail, said Hanson. “Sometimes you get an email that says ‘we’d like to expedite something, click here.” Remember that emails from major retailers or banks never ask for personal information or passwords. And when in doubt, call. Scammers often take advantage of the clumsy typing skills of the average person, or the fact that few people pay close attention to the Web address of a site they are shopping on. For example, Amazon’s Amazon Payments site is hosted only on certain domains — and no others. If you see an email or are directed to a website where the Web address looks close, but doesn’t match, then it’s likely a fraud, and your information could be at risk. On browsers such as Firefox and Safari, there’s a small lock icon next to the site address, and the “https” on the address bar. The lock shows whether the connection to the site is encrypted. If you don’t see the lock, it’s probably not a good idea to send any credit card information over that link. Checking your bank statements more often is never a bad idea, but doing so during the shopping season is even more important. That way, it’s easier to spot transactions that aren’t yours. Even better, sign up for the alerts that the credit card company will send, either by email or to your phone, whenever a purchase is made. This is a good way to guard against the fraud that happens when thieves buy blocks of credit card numbers online, because the only way to know if yours is among them is when it is used. This way you’d know when that happens and can call the credit card issuer right away. Wishing you and yours a safe, blessed and Very Happy Thanksgiving. These sweet potatoes are sliced and roasted in the oven, then drizzles with balsamic and topped with parmesan cheese and fresh herbs. They can be enjoyed as a side dish for eight, or as a meatless main for four people. These would be beautiful on your Thanksgiving table if you would like to serve this as a side. And speaking of Thanksgiving, I know the holidays can be a stressful time. Between traveling, extra calories being consumed and stress of having to take care of so many people, it’s easy to feel overwhelmed. That’s why it’s so important to take care of yourself during this time of year. In addition to making healthy and delicious food, hit the gym to work out any stress. It’s a guaranteed way to feel great, quickly. Preheat oven to 400 degrees. With a large, sharp knife, make ¼-inch slices down the length of each potato, cutting only 3/4 of the way through. In a small bowl, combine butter and olive oil. Place the potatoes in a medium mixing bowl and drizzle half of the olive oil/butter mixture over the top of each potato, then toss to evenly coat. Bake for 50- 60 minutes, or until potatoes are tender inside and caramelized and crisp on the outside. Drizzle with remaining butter/oil and sprinkle with parmesan, herbs and drizzle with balsamic glaze. Contact me if you are in the Nashville Area! Fall is a great time to evaluate you real estate needs. With interest rates remaining low it is a good time to buy and with the growth taking place in Nashville your home may be worth more than you think. Call me today for a FREE no-obligation market analysis. My objective is to work diligently to assist you in realizing your real estate dreams. 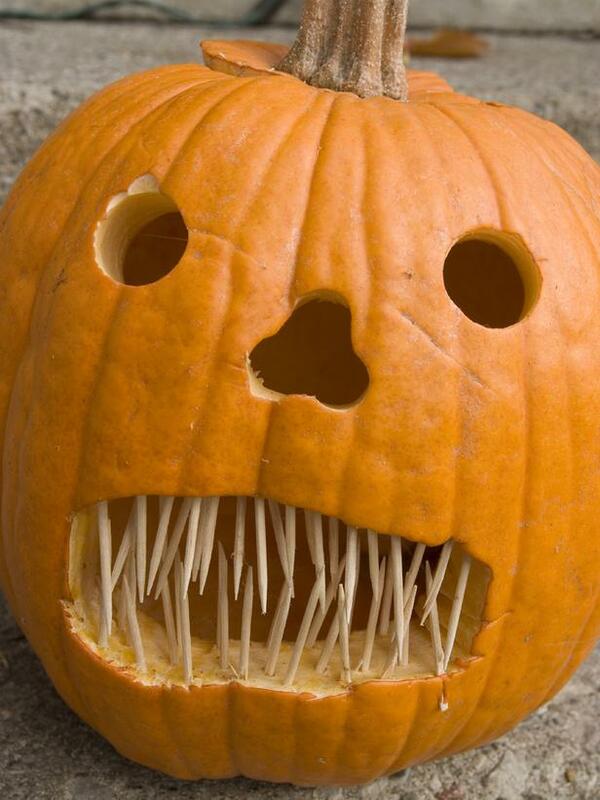 Do not eat a pumpkin that has been carved as a jack-o’-lantern. Choose a large pumpkin. The larger the pumpkin, the easier it is to carve. Pumpkins with a lighter color tend to be softer and easier to carve. When cutting out the top, place the knife at a 45 degree angle so the lid will have a place to rest when you replace it. If you cut straight down, the lid will fall through. When cleaning the pumpkin, save the seeds. 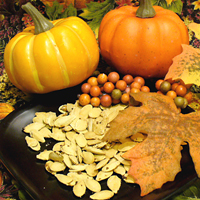 Toasted pumpkin seeds make a healthy as well as tasty snack. A 1-inch thickness of the pumpkin wall is optimum. Print out or draw the pattern on a piece of paper. Use small sharp scissors or a razor knife to cut out the areas you will be carving into the pumpkin. Tape the template onto the pumpkin and use a marker to trace the carving lines. Cutting slits in the paper will help it to conform to the round surface. As an alternative, you can tape the outline to the pumpkin and use a nail or large pushpin to score the carving lines onto the pumpkin. Connect the dots as you carve. Consider cutting off the bottom of the pumpkin, as well as the top. The pumpkin will be more stable and also easier to carve. 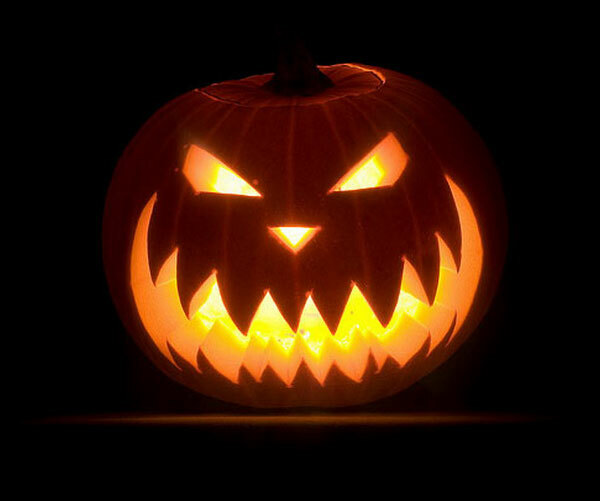 If you plan on using a candle to light your jack-o’-lantern, be sure the opening in the bottom is large enough to fit over the candle. Place the candle on a fire-proof base large enough to accommodate the pumpkin. You can then easily lift off the jack-o’-lantern to light the candle. A small battery-operated flameless candleis a safer choice than traditional candles for lighting your jack-o’-lantern. Sprinkle the bottom side of the pumpkin lid with ground cinnamon, nutmeg, and/or cloves to let your jack-o’-lantern do double duty as an air freshener. If care free living and location is your goal, this is the home for you! My goal is to make your selling or buying experience pleasant, to save you time and money. I’m here to help you get the best price possible for your home and/or help you find your dream home at the right price. September 23, 2015. marks the first day of autumn. with the day and night approximately equal in length. For us in the Northern Hemisphere, people are enjoying the cooler days of autumn, shorter days and longer nights. South of the equator, spring begins. Autumn is also a great time to list your home for sale! The timing couldn’t be better. Home selling in autumn is the second best time of the year to sell a home. Families have returned from summer vacations. Kids have gone back to school. We are set to enjoy 75 to 80 days of normalcy. If you’re in the Nashville are and thinking of buying or selling, please call me, I’m here to help you realize your real estate dreams!